Your shoulders are composed of large muscles that regularly exert themselves when carrying, lifting, pushing, and pulling. All these movements you will do countless times over your life time. 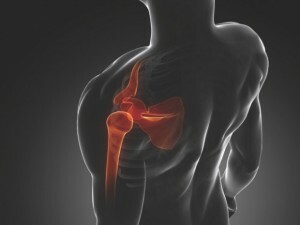 Because of the extent of its use, shoulder injuries are commonplace. Life can bring activities and sports that can result in some common injuries involving the shoulder. Sports such as tennis, golf, swimming, soccer, wake-boarding or water skiing, even home maintenance work can all cause shoulder problems. Any activity that uses repetitive overhead motions or sustained postures can result in inflammation of tendons in the shoulder, leading to tendinitis.